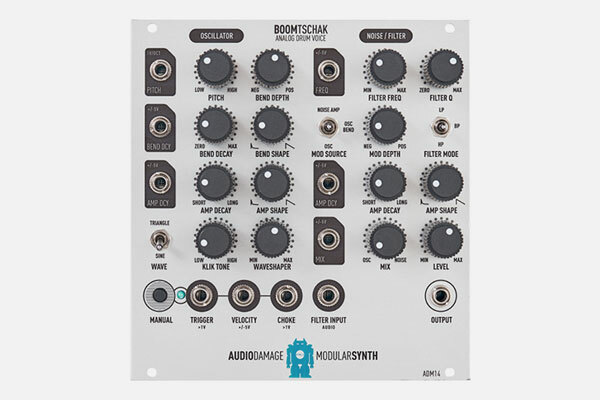 BoomTschak is an Eurorack module for synthesizing drum and percussion sounds. It contains a VCO, three envelope generators, a noise source, a multi-mode VCF, and several VCAs. The circuitry is completely analog.